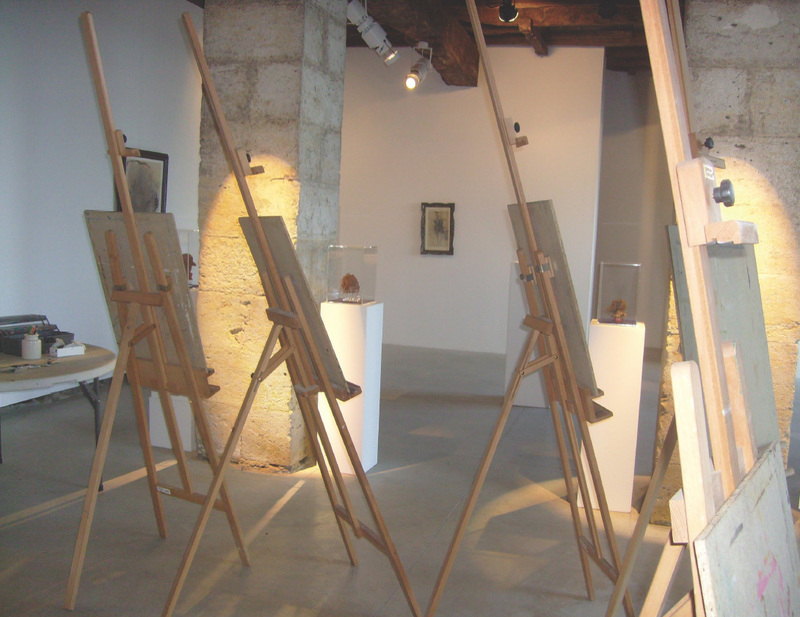 In September 2012, Rowan and Collette Shulver opened an exciting jewel of a gallery in the South of France – one that combines international contemporary art with an ambitious and community-oriented arts education program. 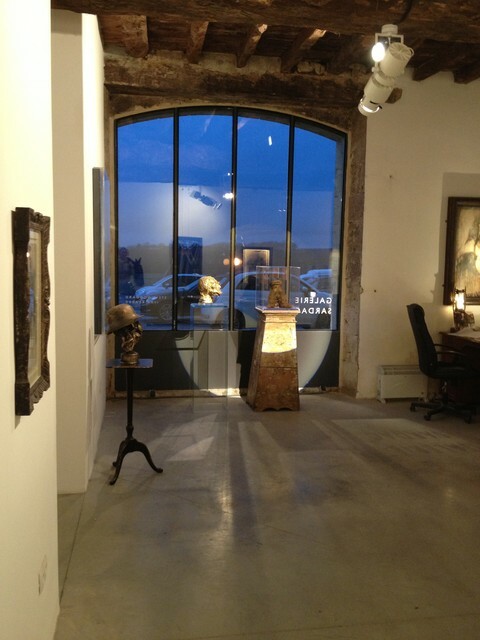 Galerie Sardac is in Lectoure, an hour and a half from Bordeaux, an hour from Toulouse, and six and a half hours from Paris. It’s creation comes at a time when many galleries, artist spaces and museum annexes are popping up off of the mainstream and away from the noise. The couple renovated the space, former stables for a convent, two years ago. The space has warm inviting light for the artwork, as well as for the participants in it’s Art for Development Program. If you’ve been around the block with respect to gallery and museum visits you know that some spaces work better than others – some are cold, some are gorgeous and fight with the art for attention, and some simply fit like a glove. The Galerie Sardac does that exactly – while beautiful, it has a feeling of history and relevance that few spaces do. The town used to be a religious center, where people used to stop on their pilgrimages to Santiago. Ironically the art centers and museums today often serve as places of pilgrimage. Where people used to make trips and visit the churches and places of worship first, the museum has become the first stop of orientation for travelers to new destinations. There is comfort in art today that was once found in religion. Galerie Sardac picks up a tradition starting with contemporary art galleries such as Galleria Continua which opened in the Italian country town of San Gimignano in 1990. A place away from the center of things that carries some of the world’s most revered artists. If you’ve been to San Gimignano in the early 90’s you would know, as I did during my year of living in Italy, that it was a sleepy, quiet town where contemporary art was not necessarily in the local vocabulary. A bold and completely successful move, as Galleria Continua has had great success and has since opened satellite spaces in Beijing and in the Paris countryside. Along with ambitious programming of international artists, the arts education atelier at Galerie Sardac provides another level of engagement in the art, and for the community. Essentially they run art therapy and standard arts classes (e.g. drawing, sculpture) right in the gallery. The regularly changing exhibits create a fantastic springboard for lessons and inspiration to participants. This pioneering program was just awarded a grant from the Credit Agricole, awarded to burgeoning local organizations who are actively participating in the community. 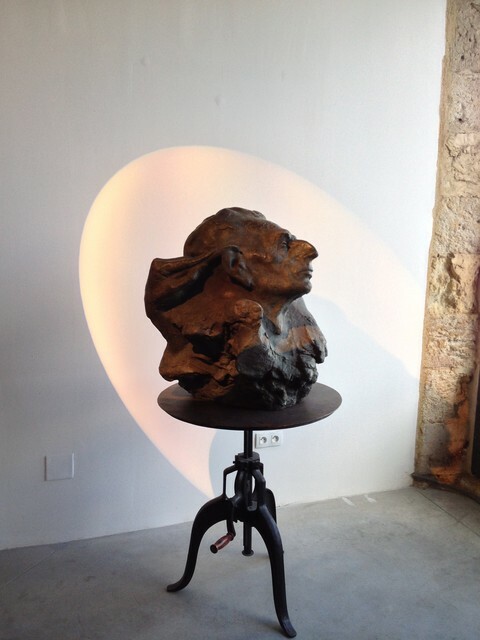 Image of set up for an Art for Development program at Galerie Sardac. Colette runs the Art for Development program, and when I spoke to her she shared her enthusiasm for the ability to run such a program in a gallery with continually changing exhibitions – a way to “re-visit and re-consider key elements” of the art learning process. She has been running the program in the area prior to the gallery’s launch, and had a show last year of the participants in the local Town Hall. The participants of the program who exhibited ranged in age from 6 to 98 years old. A successful program launch indeed! Rowan still commutes to London from Lectoure, which allows him to survey the artists he is working with and to scope out new work that would fit the gallery’s programming. He and Colette have lived in NYC, Switzerland and now in France (since 2002). 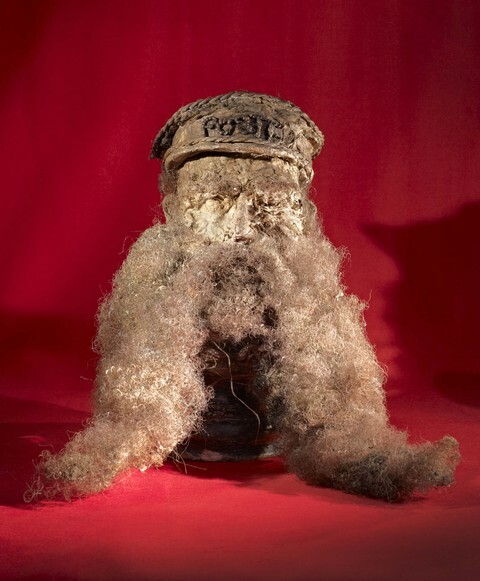 The current show, curated by Rebecca Taber, is of work by Ivan Klapez and Steve Goddard. The artists’ combined work is an inviting mix of sculpture and painting, with a heavy dose of abstraction, and of the figurative. The figurative working as a landing pad for connection, while the abstraction gives sway to the viewers’ emotion and sensibilities. Image courtesy of the artist Steve Goddard and Galerie Sardac. I believe the location is quite auspicious. Given all of the stimulus of the Internet, crowd-filled museums and queues, and the strang und durm of major cities, some of the best places to consider art and to think freely is where it is quiet. I look forward to a pilgrimage soon.